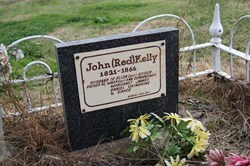 Ned Kelly’s father, John ‘Red’ Kelly, aged 45, was laid to rest in the cemetery on 28 December 1866. Red had arrived in Van Diemen’s Land in 1842, having been sentenced in Ireland to transportation for seven years. 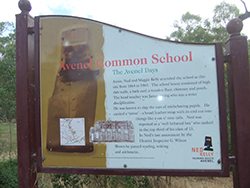 During his time in Avenel, Red was found guilty of having illegally in his possession one cow hide. At the time, slaughter of animals had to be registered and as Red didn’t actually own the calf he had killed (for which they failed to pin charges on him) they got him on this technicality. Taking the calf was the result of a desperate attempt to provide food for his family of seven. 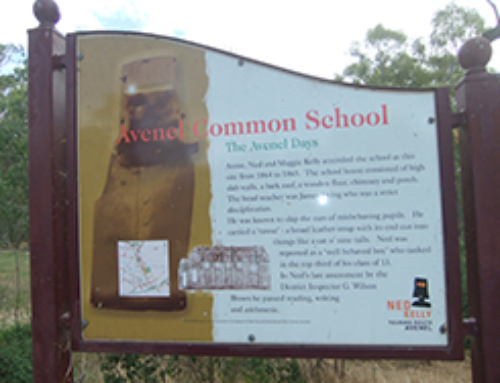 Red’s case was heard at the Avenel Courthouse, which still stands today. When he returned from the police lockup he was soon charged with being drunk and disorderly. 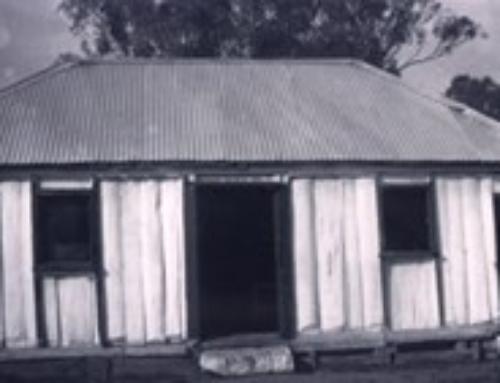 Red died 16 months later in Kilmore Gaol, his health ruined from being a victim of ‘the drink’. The following day Ned reported his father’s death as required by law and signed the register as ‘Edward Kelly, Son’. Red had few successes in his life. He was a criminal, an unsuccessful farmer and land speculator and was barely able to provide for his family. Despite this he was loved by his wife and seven children up until his death.